These One Window Quick Play Pull Tabs feature 100 cards per game with 10 numbers per card. 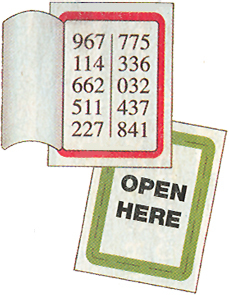 The One Window Pull Tabs have numbers that run from 0 through 999, and they begin with 0 through 9 on each card. The first digit never repeats!